This week, I share my favourite productivity tool with you, to help turbocharge your team’s performance. The internet is alive with productivity hacks! It’s all, ‘Top 10 ways to get more done’, ‘23 apps to be increase your productivity’, ‘100 ways to work as fast as the Flash’. It’s enough to distract anyone from actually being productive! Don’t worry, I’m not here to pull you away from your packed to-do list with another 1000 productivity tips. Instead, I want to share just one with you. It’s an awesome productivity tool we use here at Growth Engineering that turbocharges how we set weekly goals, manage our teams and get things done. And it can work for you too! Without further ado, I give you the super productivity tool to transform your working life… ‘5x5s’! We invented 5x5s around five years ago (pure coincidence!) and use them at Growth Engineering to manage our weekly workloads. It’s simple! Identify five goals for your five working days. Everyone, including me, uses this system to set and track their core objectives for the week ahead. Of course, the goals must be specific, measurable, achievable, relevant and timed (SMART) to work! Each Monday, the call to log your 5x5s rings throughout GEHQ as everyone determines their week’s top priorities and pings their big five to their managers. At the end of the week it’s time to review which goals have been 100% achieved and what needs more work. We use the LMS to record and track our 5x5s but you could use your phone or an old-school pen and paper. If you think this idea seems familiar, you’d be right! 5X5s are a simplified yet super-strength version of the classic performance management tool, Objectives & Key Results (OKRs). You could say, OKRs just ate a tin of spinach and got Popeye muscles! 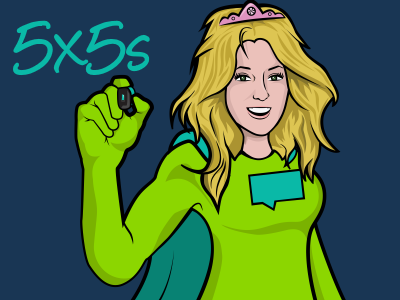 Here’s a closer look at how 5x5s boost productivity and how they can transform your team into a productive powerhouse. Strawberry, chocolate, vanilla, toffee, fruit, marzipan, pecan, velvet, yogurt & banoffee pie…No, I haven’t just slipped into pudding-induced fantasy! Close your eyes and try to recall all the cakes I just listed – no peeking! Unless you have superpowers, it will be tough to remember all ten because research shows we can only efficiently recall 5-9 items. This is why when it comes to to-do lists, less is more! Although writing all our tasks down temporarily lowers stress, in the long run we end up with an endlessly long to-do list that just isn’t doable. And it definitely isn’t SMART! For real results, use 5x5s! Limit your to-do list to your top five priorities. This way you can always bring your key goals to mind, rather than waste time checking your notes. Lose the endless tasks and make your 5x5s objective-focused instead! Sticking to just five core objectives makes it easier to ensure your goals are SMART and turns your to-do list into a powerful productivity tool rather than a confidence-sapping nightmare. 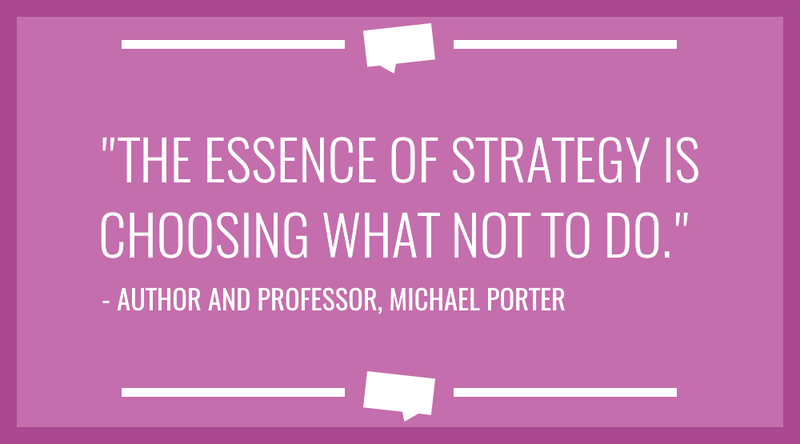 Professor Michael Porter said: “The essence of strategy is choosing what not to do.” This is the beautiful simplicity at the heart of 5x5s success! Whoever you are, the ability to prioritise is essential to productivity. 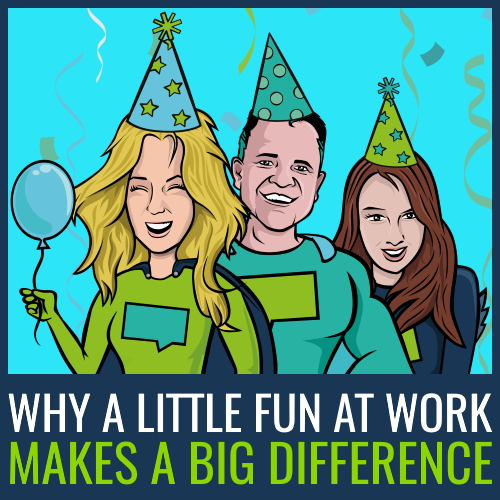 5x5s empower you and your teams to do this successfully – If you add, you have to subtract! When you know you are limited to five goals and that adding something new to your to-do list means you must lose something else, it suddenly becomes easier to see what really matters. It forces us to consider what is realistically achievable, rather than taking on too much or saying yes to everything. It reminds us to be SMART about our goals! 5x5s empower teams to choose so that we can all achieve more. Creating employee autonomy and making everyone accountable for their own performance, boosts team productivity. Research agrees, showing highly educated employees work more when given autonomy over their schedules. So, as leaders we must take a step back, empower our teams and trust them to manage their own workload. This is what I love about 5x5s! 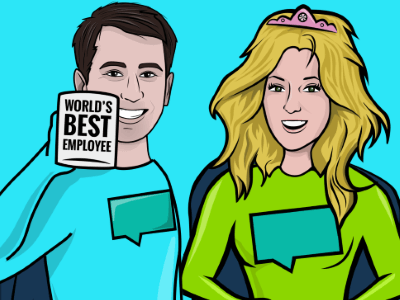 They encourage a bottom-up management style – Each employee is responsible for identifying their own top five priorities for the week and communicating them to their manager. This ensures everyone takes ownership of their own workload and is accountable for their performance. 5x5s also create a regular dialogue between teams and managers that’s embedded within the workplace culture. This way, 5X5s become the constant bedrock that gives staff a sense of control over their workload. In need of an extra productivity boost? Here’s a little motivation from another awesome Five! 5x5s are a fantastic training tool for new and experienced managers alike. They provide a simple performance management framework that everyone can understand and use immediately. More importantly, 5x5s help prevent my big bugbear of poor leadership – micromanaging! They act as a reminder that managers are there to empower their team, not direct their every action. Instead of micromanaging, 5x5s encourage managers to ask their team for their top goals on Monday and review what’s been achieved on Friday. Of course, this system needs to be embedded within a supportive culture of open communication, where staff feel able to ask for support or advice. 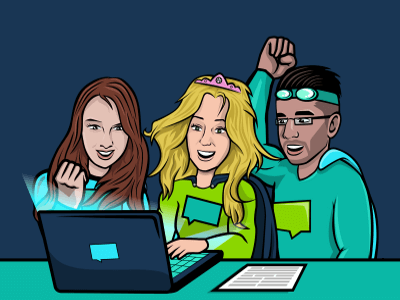 So, empower your team to do their best work with regular training and support when needed. Most importantly, trust your team to do their job and achieve their goals. Even our outfits are aligned. 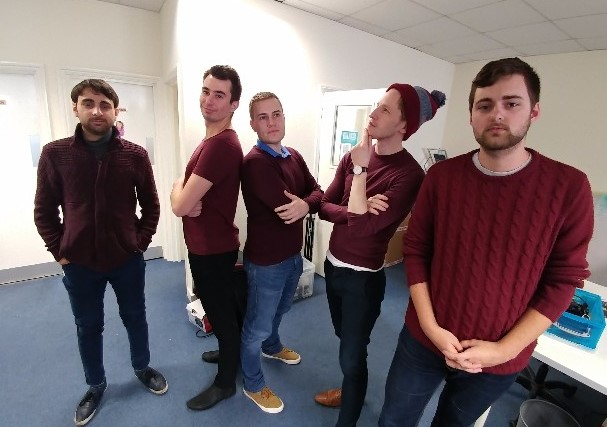 This calls for a Maroon 5 pose! Using 5x5s across all teams creates consistency and goal-alignment; Each employee can relate to how everyone else in the organisation is planning their week and managing performance. In this way, 5x5s aid strong collaboration because we understand how our requests to colleagues must fit into their weekly top priorities. Consistency across the business helps embed 5x5s as part of the company culture, helping teams work together to achieve shared goals, whilst respecting each other’s time, energy and workload. At Growth Engineering, we share our 5x5s with each other so that everyone has a clear understanding of their colleagues’ workload and responsibilities. You too can share this information on the LMS message boards or simply within your own teams. The concept behind 5x5s can be scaled up or down to suit your team size and ensure consistency across your organisation. 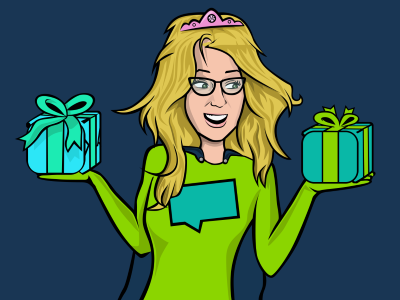 In the five years we’ve been using them, Growth Engineering has grown and our teams have changed. Yet 5x5s have remained a constant feature that new and old staff alike can easily use to manage their workload. Although we use 5x5s to set our weekly goals, you could use them for anything! You could apply the model to your 1:1s, monthly meetings, annual appraisals or company events. 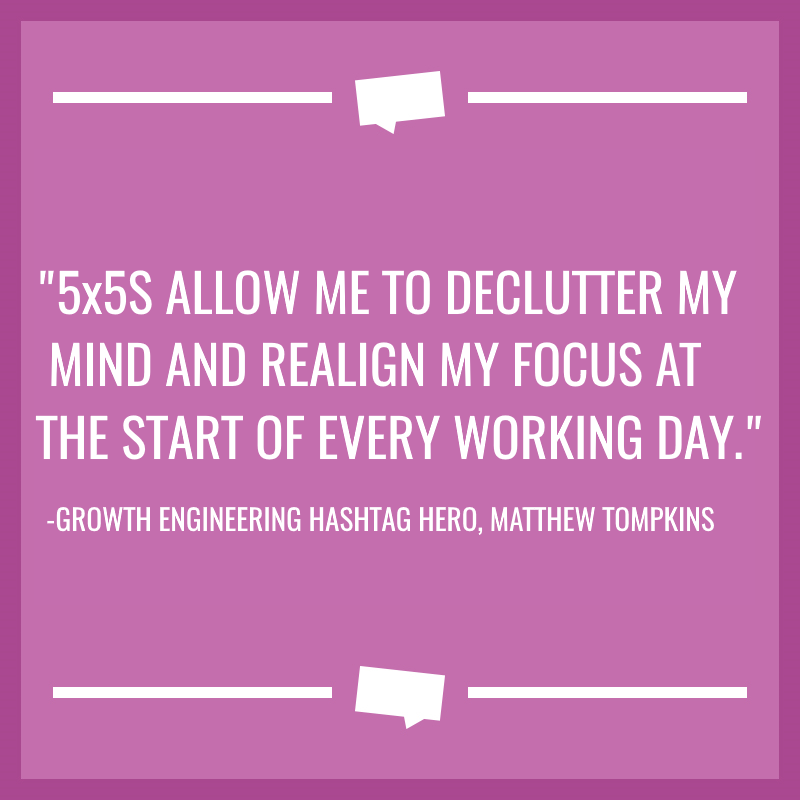 You can even use 5x5s in your personal life. Whether it’s planning your week or simply booking that dream holiday – 5x5s help everyone set SMART goals, boost productivity and get the important stuff done! So there you have it – the secret to our productivity at GEHQ! 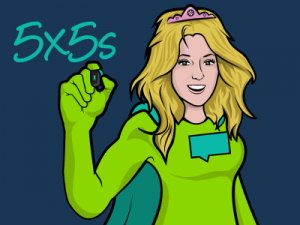 5x5s are the simple tool that can transform your teams. It’s time to harness the power of five for epic results! P.s. I am eager to know, what is your favourite productivity hack?